Just been advised by the ever vigilant and on the case Danny Walsh that following representations to Lambeth Council and a subsequent site visit earlier this week, there will be an additional street light installed along the dark patch between Vine Lodge and the street plot. Thank you Danny, and Lambeth Council for listening. Access to the plot is as novel as the land itself, for you might, should care to, approach through Bonnington Square, and in the corner spy a small door that has been left open. A corridor through the house of dark blue decoration and into a wondrous lush feast of green awaits. It’s an irregular plot of land that exists due to the actions of the GLA in the 1970s. 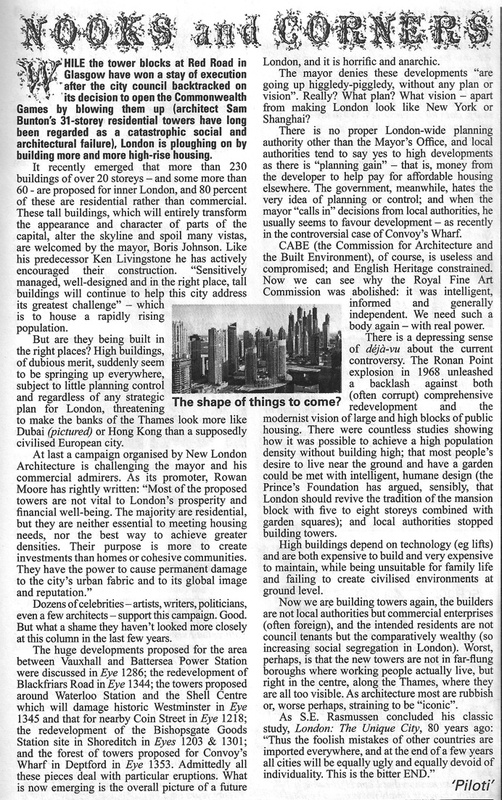 They bought up the land for the Inner London Education Authority, which wanted to demolish a plot of houses to create playing fields. The plan was never carried out, but following dereliction, decay and squatting a block of Georgian era houses was demolished. Then in 1984, people started growing veggies there, and then a local association formed to turn it into a proper garden. The garden was designed and laid out between 1986 and 1988, and what was once an open plot with aspirations has now grown into a maze of nooks and alcoves to get lost in. Thin winding paths that are sometimes almost too overgrown to pass along, and yet all the more fun to squeeze through are dotted with splashes of colour in mosaic form, which were added in 2009. At one end a couple of ladies were chatting on the swing. At the other a chap engrossed in his laptop computer not even look as a photographer wandered around. Some musicians passed through, using the garden as a pleasant shortcut to the main road that runs along side. For the past decade there has been an entrance on Harleyford Road itself [map link], but for the first 20 years of its existence it was a public space that was only open to those who knew it existed. The Harleyford Road entrance has made it more noticeable now, and it is apparently a lot more popular as a relaxing place to spend lunches. It has an almost nature reserve feel to it, but without the obsessive attention to being a nature reserve so that it can be a pleasant place for humans to inhabit as well as the critters. With all the winding paths, and very cleverly laid out groves and seating it is surprisingly easy to get a bit lost in such a small plot of land, and that is for me the charm of the whole place. 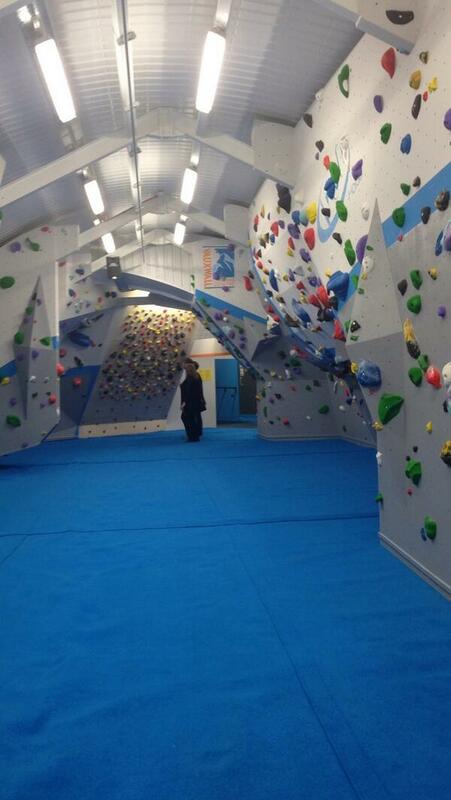 The Climbing Centre, Arches 46-47A, South Lambeth Road, next to the Hoist, is finally open. Should be interesting if visitors to the Hoist arrive after having had one too many to drink. Still, at least they’ll be dressed for it. And yet another one. This time Goding Street, SE11 5AW, The Ashtar Lounge. They want a license to remain open until 7:30 am. Which is when most of us go to work. It’s like a land grab at the Klondike. If the area didn’t resemble Sodom and Gomorrah before then it soon will if the current crop of late night drinking applications is approved. 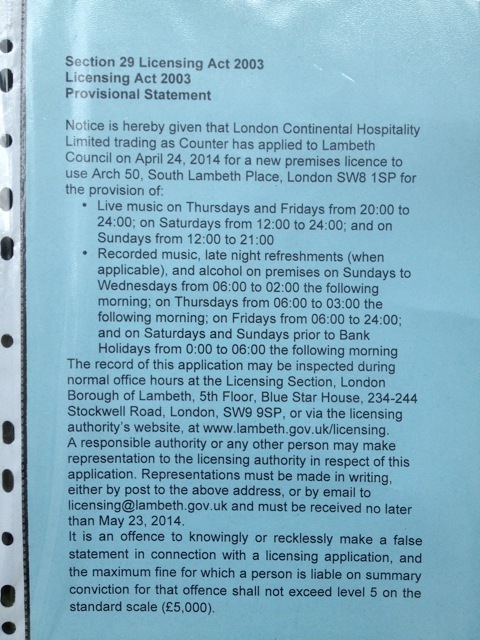 As ever, objections to : licensing@lambeth.gov.uk, remembering to put your name and address otherwise your objection won’t be valid. Closing date for this one is Wednesday 7th May. If you miss it, there’ll be another one along soon.